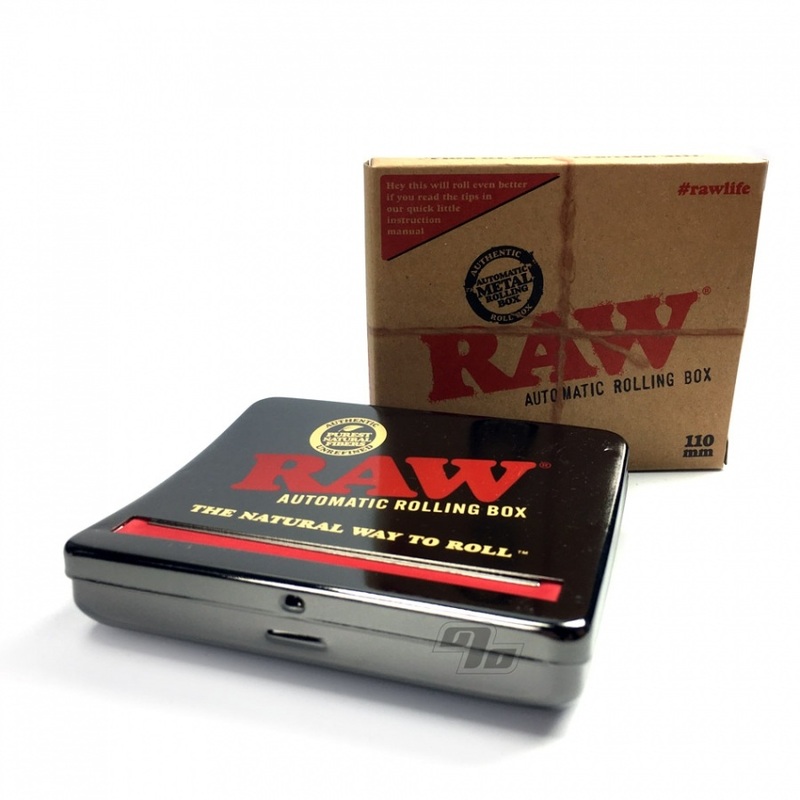 The latest RAW Automatic Rolling Box is the new way to stylishly crank out your king size smokes. 110mm is the length of king size rolling papers. 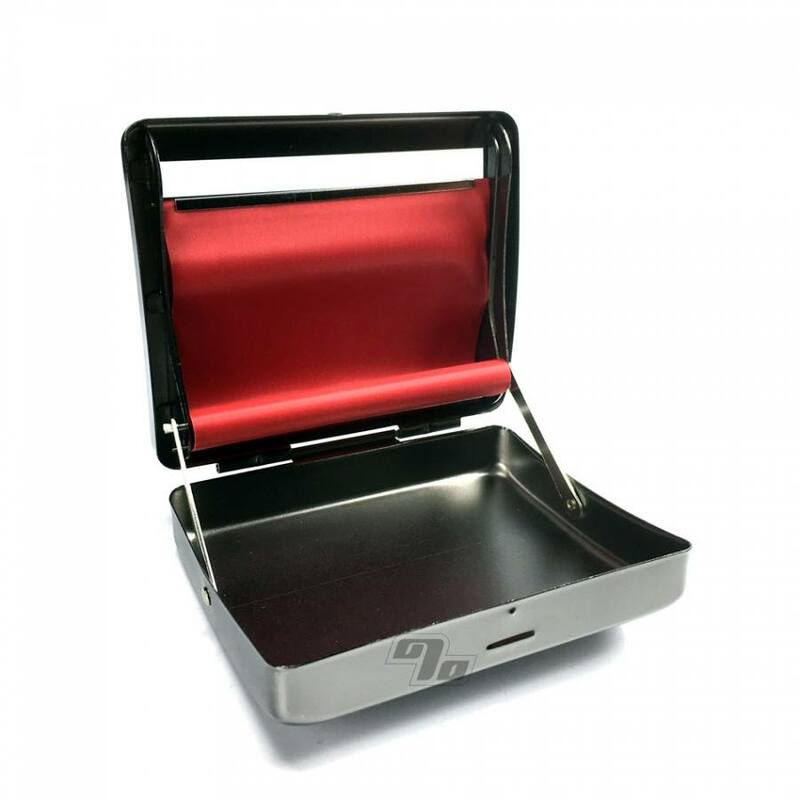 Gun metal finish with a non-stretch apron rolls up with optional paper tips (Quintessential or RAW), 5mm filters (Swan) right up to 8mm filters (standard sized). Rest assured, 1 Percent sells only genuine RAW Papers and Rolling Accessories; since the dawn of RAW Natural Papers in 2005.